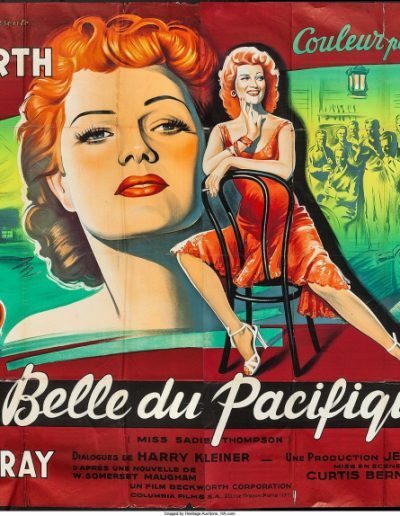 Film Historian Matthew Locey shares his favorite movies from the golden age of Hollywood – the 1950s! ALL THE BROTHERS WERE VALIANT (1953) MGM. Robert Taylor and Stewart Granger in this South Seas adventure/drama. Whaling brothers, beautiful native girl, murderous pearl traders all set the plot for this film. BIRD OF PARADISE (1951) 20TH CENTURY-FOX. 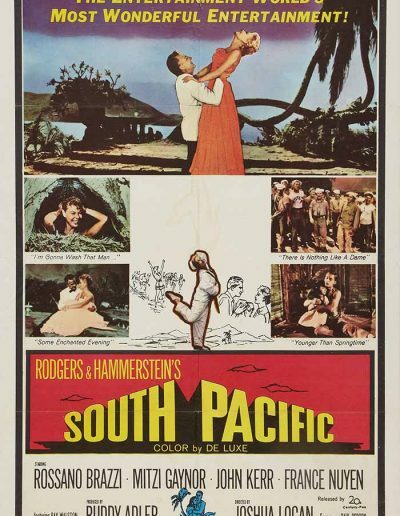 Jeff Chandler, Debra Paget and Louis Jourdan in this version of the classic South Seas drama but in beautiful Pacific color. 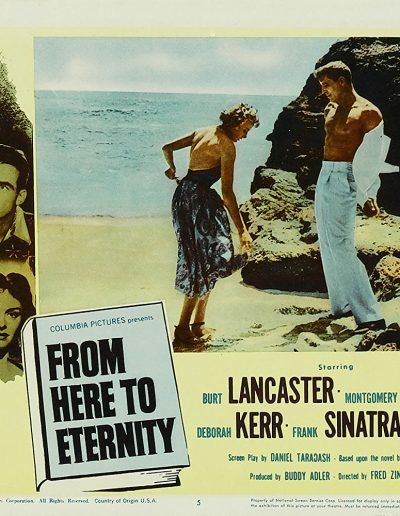 FROM HERE TO ETERNITY (1953) COLUMBIA. 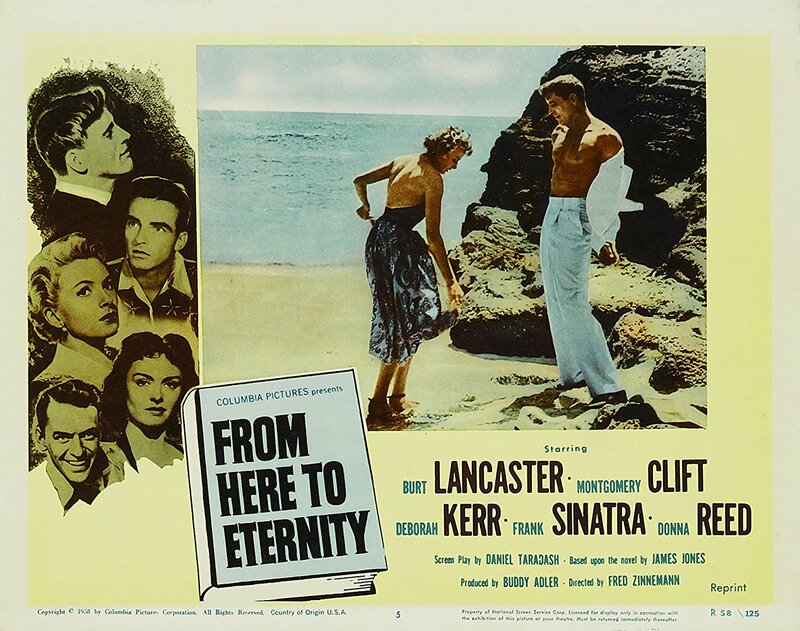 Classic award-winning WWII drama starring Burt Lancaster, Frank Sinatra, Montgomery Clift, Deborah Kerr and Donna Reed. Plot of Oʽahu army life in Honolulu just before the Pearl Harbor attack. HIS MAJESTY O’KEEFE (1953) NORMA PRODS. Burt Lancaster, in title role, as overthrown captain of mutinous ship, who washes ashore on the Pacific island of Yap. LAND OF FURY (1954) RANK FILM ORG. Jack Hawkins; Glynis Johns as early British settlers walking a thin line to be on good side of a New Zealand native tribe. MISS SADIE THOMPSON (1953) COLUMBIA. Rita Hayworth, José Ferrer and Aldo Ray in another film classic of the same story of RAIN (1932). MISTER ROBERTS (1955) WARNER BROS. Henry Fonda, James Cagney, Jack Lemmon and William Powell in WWII naval classic based in the Pacific. RETURN TO PARADISE (1953) UA/MGM. 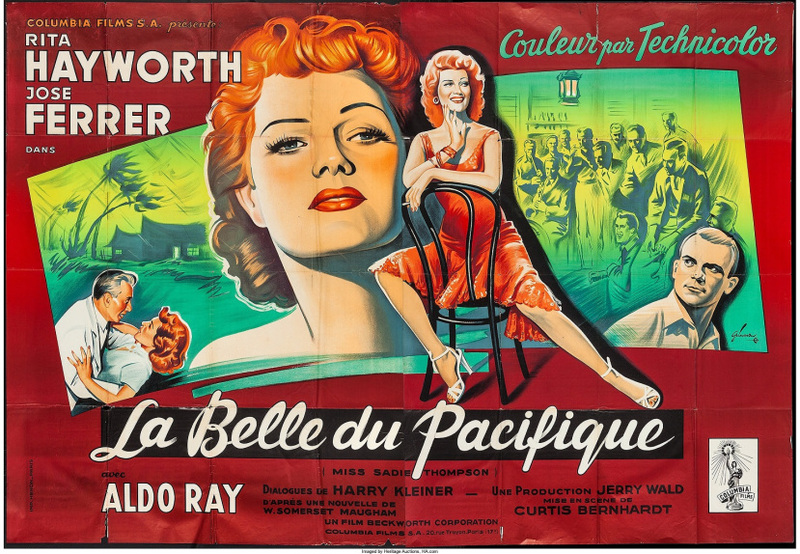 Gary Cooper falls in love with a Samoan native girl. 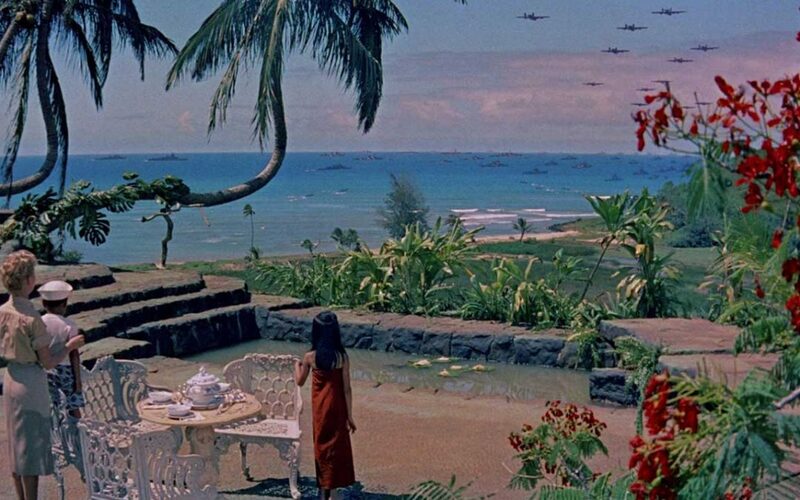 This James Michener’s story was actually filmed in Samoa. 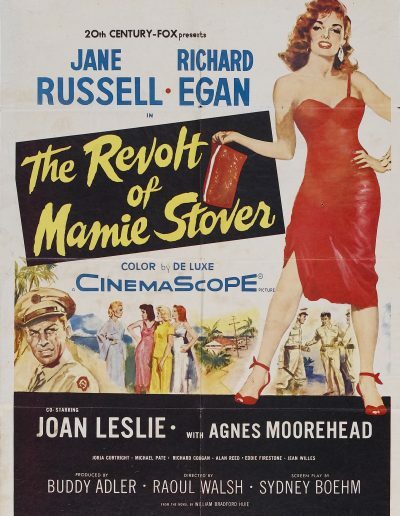 REVOLT OF MAMIE STOVER, THE (1956) 20TH CENTURY FOX. 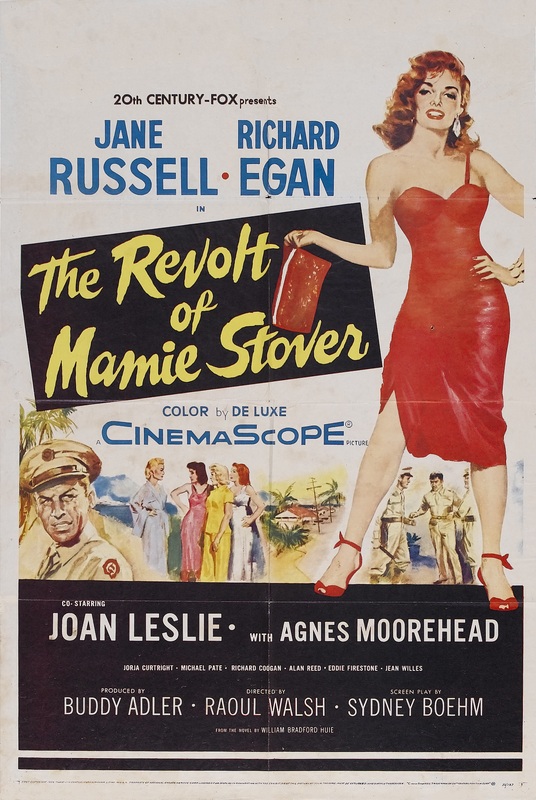 Jane Russell, Richard Egan, and Agnes Moorehead in story of a woman, with a questionable past, that lands in Honolulu and builds a successful business entertaining the troops. 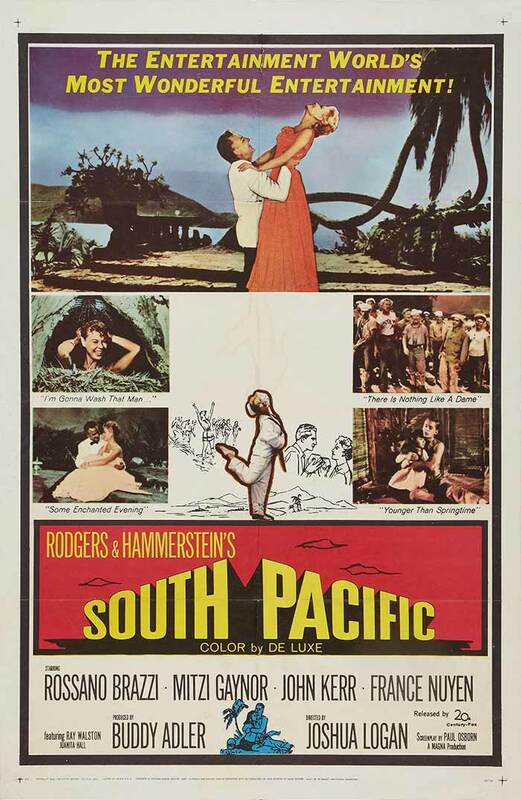 SOUTH PACIFIC (1958) MAGNA/ 20TH CENTURY-FOX. Rossano Brazzi, Mitzi Gaynor, and Ray Walston in a Rogers and Hammerstein musical/drama set in a French Pacific isle during WWII.